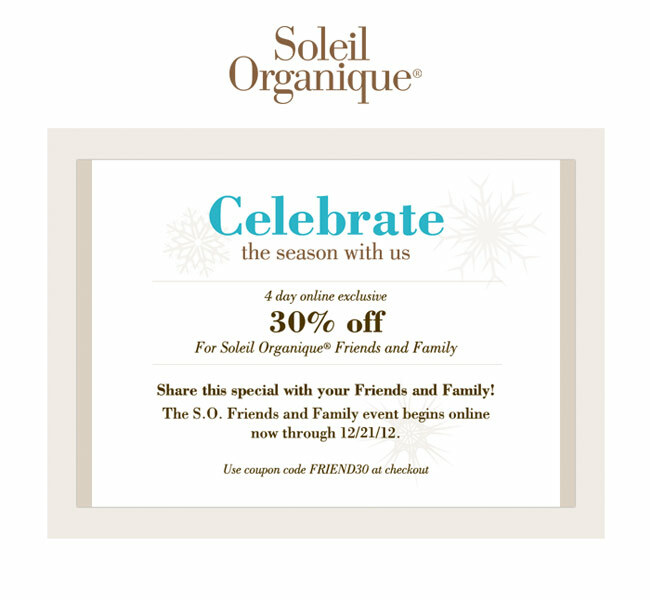 Soleil Organique needed a special holiday email template for a promotion they were running for family and friends. They wanted it this special template to be clean and streamlined, and well as easy to understand, so users could easily complete their promo. We also wanted a bit of a holiday flair but nothing over the top, so we added some classy snowflakes to add a winter vibe.